It’s all about CHARACTER, isn’t it ??? Good character is taught and caught and the new DVD series Samuel L. Collins and the Search for Biblical Truths, helps you do both. Imagine a DVD series combining the fun adventure of a Young Raiders of the Lost Ark, the high-tech gadgetry of Mission Impossible and the Scriptural conviction of Bibleman. All of those elements are masterfully interwoven throughout Samuel L. Collins and The Search for Biblical Truths, a product line designed to reach Christian children and tweens. 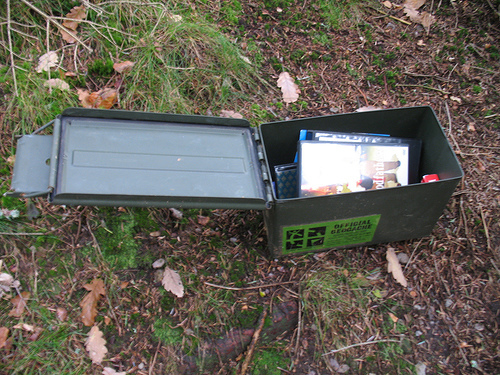 Geocaching: Today’s the day, so don’t wait…. Have you signed up? Well, have you? The contest has begun and the entrants are rolling in. Will you be one of them. Are you ready to WIN? 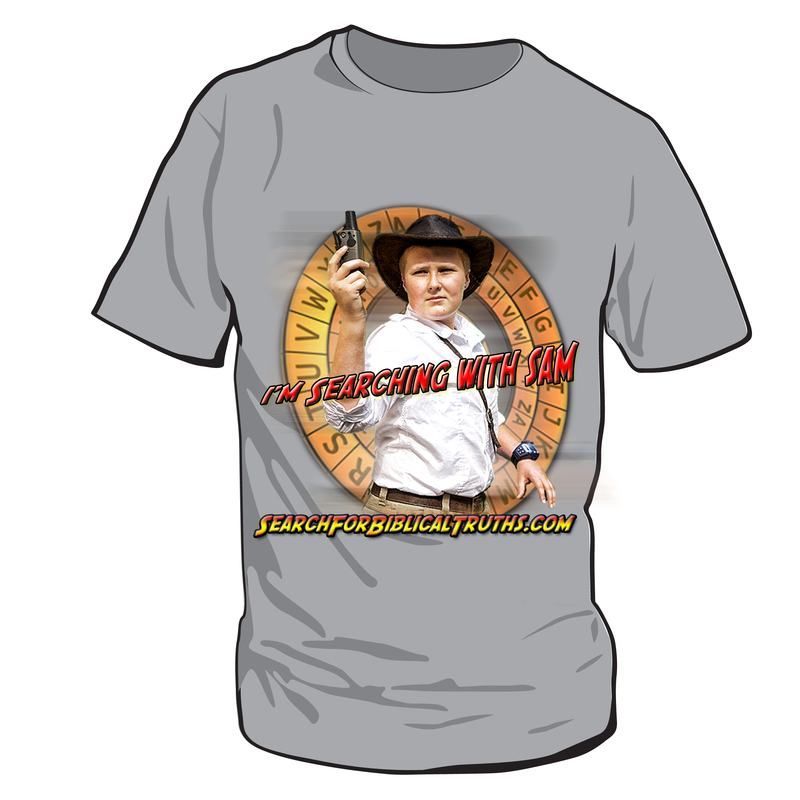 Samuel L. Collins and the Search for Biblical Truth is hosting its 1st Annual Summer Geocaching Hunt and we want to reward YOU for your geocaching skills with this FREE T-SHIRT! provide some links (by state) for more fun. Okay, so you THINK you might be interested in Geocaching but need more information. That’s what this post is for. Let’s begin quickly, someone else is out there finding your treasure! There’s treasure in the box! So, what DO you need to get started? Willing spirit to go outside. I know that seems like a big deal, but my parents tell me that getting away from the technology is a good thing; so, let’s go breathe some fresh air. A GPS. Yes, you really do need one, but many things count as a GPS. Mom might have one in her car already. Mom’s phone (if it’s smart) may be able to download a GPS app (more about that later), or you may want to splurge and buy a hand-held GPS. I own a Garmin GPS and I think they are the best on the market. A Geocaching.com account. 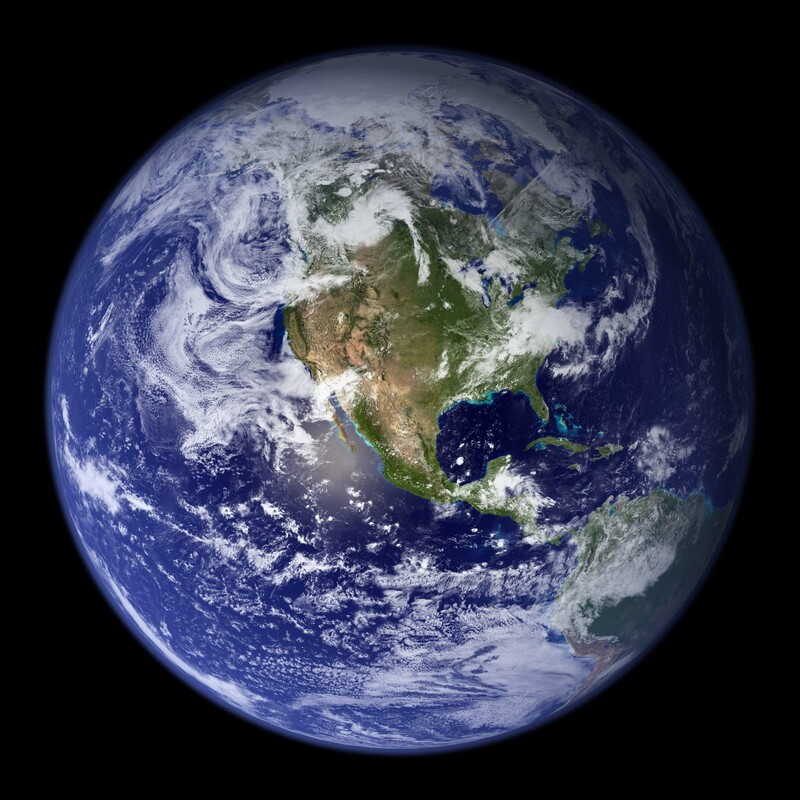 Geocaching.com is the largest geocaching website with over 7 million logs being submitted each month and over 1.4 million caches listed around the world. 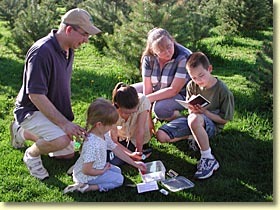 Geocaching.com offers lots of information about geocaching, the rules, as well as geocaching supplies. The good news is that the account is free and Mom and Dad will like that! This video will describe what to do when you get to Geocaching.com! Closed shoes. Going outside is fun but tracking through the woods in flip-flops is NOT. Mom and Dad. This is NOT something you want to try on your own, or go on your own. You’ll need supervision and if you bring Mom and Dad it’s more fun anyway. So, gather your items: shoes, Mom and Dad, a GPS, a car, and go get that Geocaching account. Geocaching with Sam: Can you find it? If you can’t find this one, Geocaching might not be for you! So, let’s take a look: can you find it? Yup, sometimes they are just that easy! I recently was offered the opportunity to review some videos for a fun new family movie series called Samuel L. Collins and the Search for Biblical Truths. This month, I’m sharing our review of their first movie – Samuel L Collins in Singapore. Next month, we’ll check out the adventure in Bali. 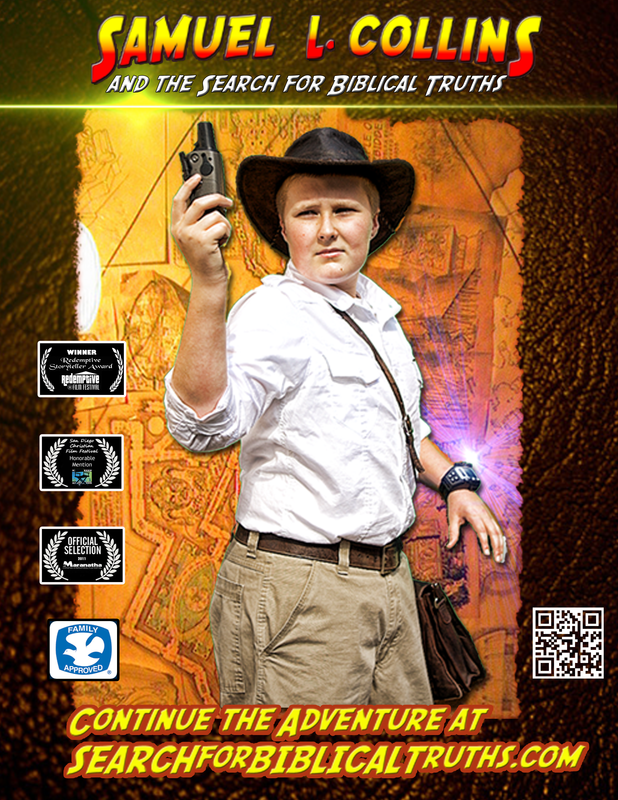 Samuel L Collins’ series is designed for families (especially boys, I think), obviously modelled off the idea of Indiana Jones and the idea of making learning Bible Truths into an adventure quest. When the box arrived with our videos, I showed them to the boys and thought that we would wait to watch them on the weekend. The kids, apparently, had other ideas and before I knew it – the 4 of us were snuggled on the couch eagerly starting the video. In this first video, Samuel is a secret agent and his family are called to Singapore, where Samuel finds some money dropped by a lady walking down the street and then is sent on a mission to learn more about integrity and treasures. What I really liked about this movie is that although the title would lead you to believe that Samuel is the only one on the adventure – it actually is a whole family activity. His sister, Katie, is an active part of the search and helps Samuel complete his challenges. I like that it takes something as simple as a Bible verse and makes it exciting and special. The special digital effects were really well-done. The boys were thrilled by Samuel’s “cool” gadget watch, and as the story progressed, were eager to participate in the challenges of deciphering codes. Samuel has to use his GPS to find the geobox, an activity that we love doing too – geocaching (aka “Treasure Hunting”). It was a nice treat to have a live-action movie for Christian values that my kids would sit through and enjoy! We are going to watch it a few more times this week, I’m sure! Wow! Thanks Mrs. Fletcher for the awesome review! Off on my BIGGEST event yet! What’s new on SLC blog?